Illustrate different forms of isomerism in organic molecules or demonstrate molecular geometries in inorganic molecules formed from elements in the third row or higher on the periodic table. 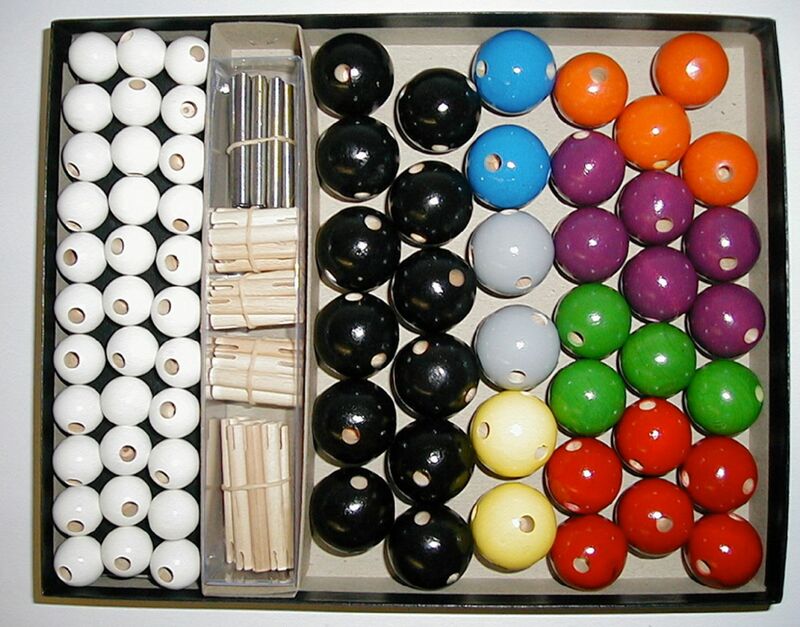 The wooden balls included in this set are specially drilled to show trigonal bipyramidal, octahedral, linear, trigonal planar, and square planar geometries. You will get instructions, ten 2" springs, forty 1 1/4" and 2 1/8" wooden pegs, and 71 wooden balls ranging from 1/4-3/4" in diameter. 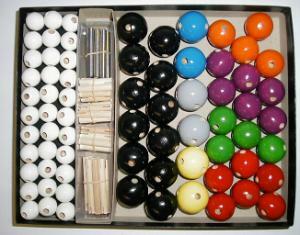 The wooden balls include twelve carbon (black), two nitrogen (blue), two phosphorus (gray), two sulfur (yellow), six oxygen (red), four chlorine (green), four bromine (orange), six iodine/fluorine (purple), and 33 hydrogen (white).